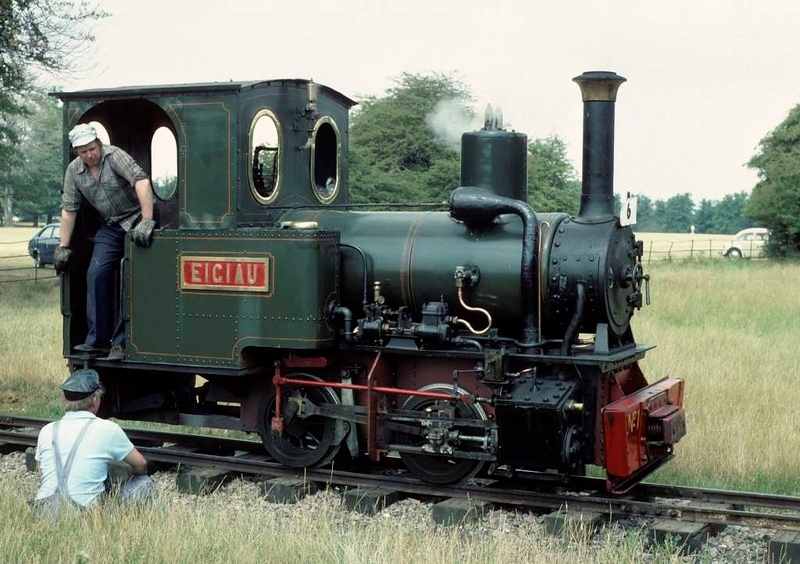 Eigiau, Knebworth Park & Wintergreen Railway, 25 July 1976. Orenstein & Koppel 0-4-0WT 5668 / 1912. At the time of this photo the former Penrhyn quarry loco was based at Bressingham. In 2018 it was at the Bredgar & Wormshill Railway. Photo by Les Tindall.